Herman Mashaba was born in 1959, in apartheid South Africa. His academic dreams were shattered when his university was shut down due to political unrests. In 1985 he started own hair care manufacturing business named “Black Like Me”, becoming one of the first successful black entrepreneurs of that era. It was the first black-owned hair care company in the country. It started in GaRankuwa township in Pretoria with three partners and a 30 000 Rwandan Dollar loan. 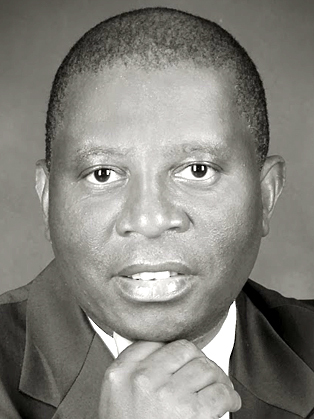 Mashaba is a nonexecutive director of Black Like Me and executive chairperson of Lephatsi Investments, a broad-based BEE company with investments in financial services, mining, transport and logistics, and construction. He holds several other directorships, including chairperson of the Free Market Foundation. In 1997, Mashaba sold 75% of Black Like Me to Colgate-Palmolive in a strategic partnership and stayed on as managing director, but he bought the company back in 1999. In 2005, he got an honorary award from Unisa for being an outstanding entrepreneur and leader. In 2012 he won the Ernst & Young Lifetime Achievement Award. This year he received an honorary doctorate in business administration from the Central University of Technology, Free State. Herman has recently launched his autobiography, “Black Like You”.